1896-97 designed by John Douglas. Sandstone with Welsh slate roof. Became known locally as "The Choirboy's Church". To help fund its building, the choirboys of the church wrote letters to other choirboys throughout England, asking for small donations for its construction. The initials of the Weston choirboy's names are carved on the church steeple. 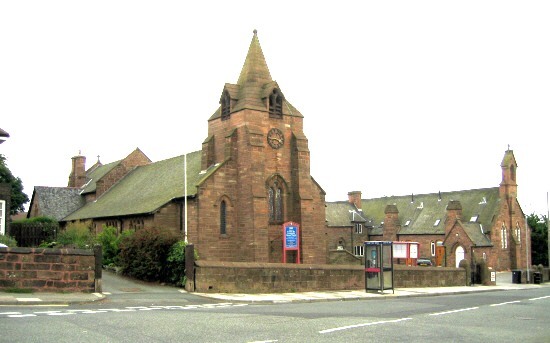 The former church school, seen to the right of the church, has recently been made into housing units.